In last week’s blog, we explored five benefits of using a personal trainer including goal setting and achievement, learning about exercise science, and having fun. This week, Training House in Baltimore is focusing on five more benefits that a personal trainer can give you in regards to performance and gains. 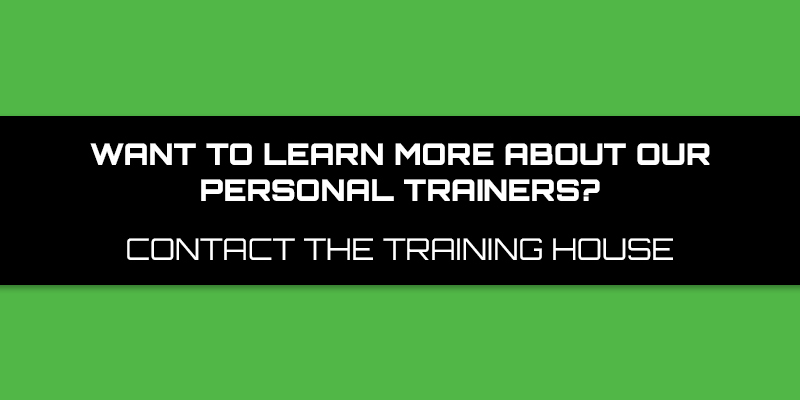 If you are looking for experienced, certified personal trainers with a track record of excellence and helping individuals and teams reach their goals, then visit us at Training House in Baltimore. Our sports performance training center is a great place for people of all ages and abilities to work with a personal trainer to create, achieve, and exceed their fitness goals. When you head into the gym, how do you decide what you are going to work on that day? Once your plan is in place, how do you decide how many sets and reps to do? Youtube, blogs, and workout boards all provide great guidance for a starting point, but they don’t come close to giving you the kind of attention that only a personal trainer can. When it comes to designing the perfect workouts for you, you need someone who can ask questions, listen, observe, and adjust. Personal trainers aren’t just experts in exercise science and fitness, they are also planners and consultants who get to know your needs and goals to decide the best ways to meet them. Utilizing a certified personal trainer is the best way to be sure you are having the best possible workout you can. We’ve all heard that practice makes perfect — but the reality is that practice makes permanent. Doing something the wrong way repetitiously will only serve to ensure that you continue to do it wrong for months and years to come. This translates to slower gains, more frustration, and a higher risk of injury. Personal trainers understand how every muscle in the body works, where the origins and insertions are, and what kind of body movement causes physical stress. When you work with an athletic trainer, you get the guidance and insight to make the small adjustment that will help you stay injury free and get the most out of your time spent at the gym. To help avoid plateaus, your personal trainer will make sure to provide regular variety in how you work out your muscles and cardiovascular system. This not only saves you a lot of time and research, but it makes going to the gym a lot more interesting and engaging. When you work with a certified personal trainer, they are going to push you to challenge yourself with the appropriate amount of rest and breaks, allowing you to get the most out of your workout. The reality is that most people at the gym spend too much down time resting, catching their breath, and talking with other people. Imagine having a guide to help you use that wasted time to achieve the fitness goals you set for yourself instead. All of the benefits listed above lead to a lower risk of injury in the gym, which is more common than people think. Gym injuries don’t just hurt, they slow down your ability to hit your goals and can also be quite expensive. Get the most out of the time you spend in the gym and choose to work with the certified personal training team at Baltimore’s premier sports performance training center, Training House.